Welcome to 2017 and FREE park passes to everyone… well not quite. Yes, it is true that Parks Canada is indeed providing free passes for the entire 2017 year to anyone who would like one. All you have to do is sign up on their website (http://www.pc.gc.ca/). It only took me about 4 minutes to complete the online order form with my name and mailing address. They didn’t even charge me any shipping, how simple is that! So simple in fact that over 900,000 people ordered their Discovery Pass earlier this year and they even were able to crash the Parks Canada servers in December because the amount of demand was so great. Q) Can I use the Parks Canada Discovery Pass when I visit provincial parks like Algonquin Provincial Park? A) No, the Parks Canada Discovery Pass is only valid at National Parks, National Marine Conservation Areas and National Historic Sites. 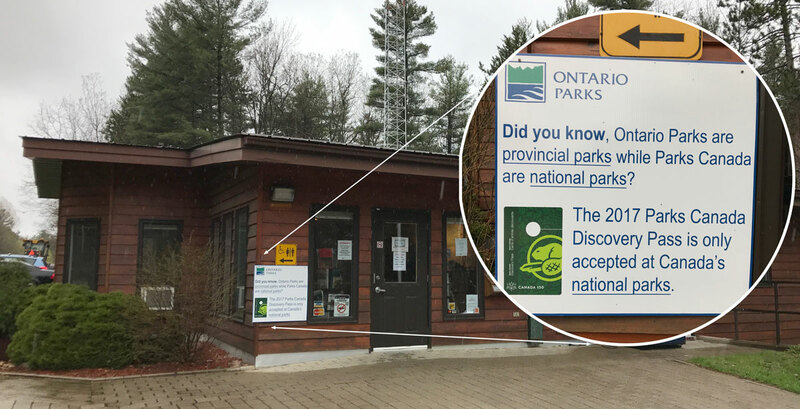 Q) What parks in Ontario can I use the Parks Canada Discovery Pass at? Yep got it all my Parks Canada visits are unlimited and Free for all of 2017! Ontario Parks are indicated by dark green areas on the above map while the red leafs indicate Park’s Canada operated national parks where the Discovery Pass is valid. You only need to order one pass for your group or family if you are all traveling together. 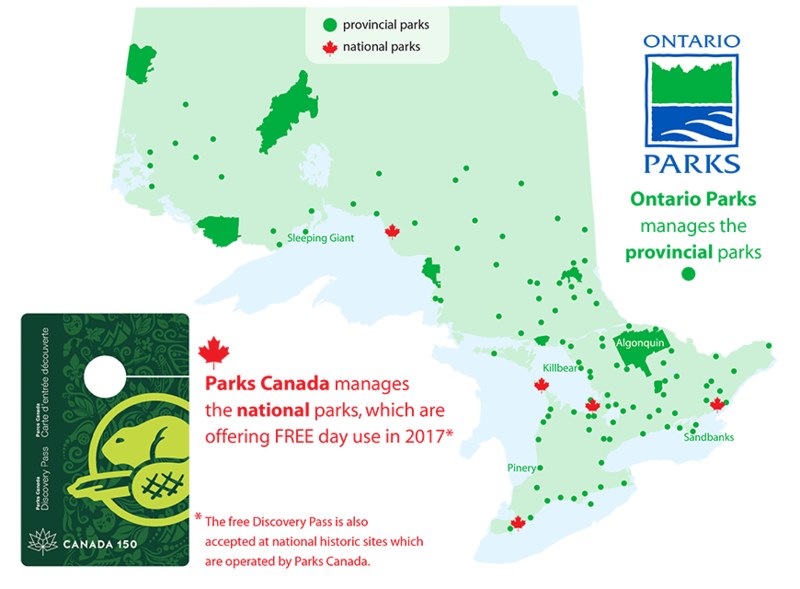 A 2017 Discovery Pass is valid for everyone arriving in the same vehicle at a national park, or arriving together at a marine conservation area or historic site. Great I can bring all my family and friends with me, perfect! Ok that’s a lot of National Historic sites operated by Parks Canada just in Ontario, but I don’t see a lot of “Parks” there, I’m more interested in camping, canoeing and maybe hiking than visiting an old battle ground, let’s read on. Ok got it anything extra, day tours, rentals, parking I still have to pay for. 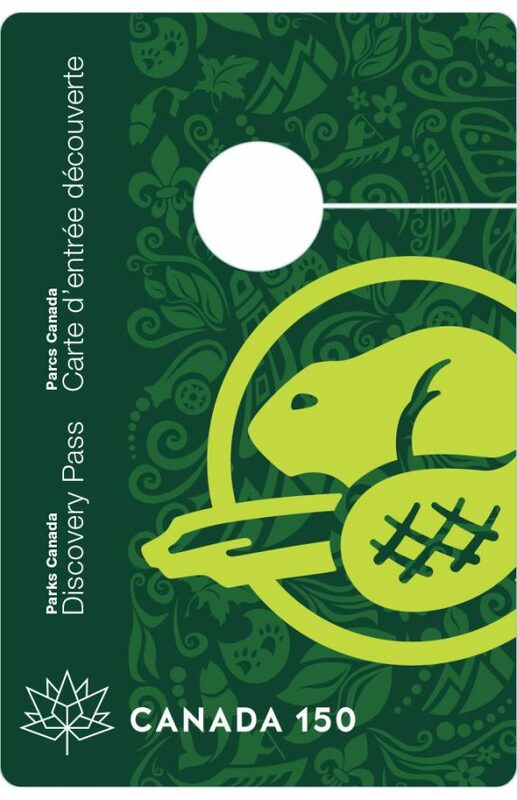 The 2017 Parks Canada Discovery Pass provides the passholder with unlimited entry to all participating National Parks, National Marine Conservation Areas and National Historic Sites administered by Parks Canada. (Note: Discovery Passes provide the holder with all of the opportunities and services that normally come with a daily entry pass or permit. Activities such as camping, tours, or parking that normally carry a separate fee may not be covered by the Discovery Pass. Camping fees are not included with the Discovery Pass). A 2017 Discovery Pass is valid for everyone arriving in the same vehicle at a national park, or arriving together at a marine conservation area or historic site. Ok got it so it’s just a day use pass and not an over night camping pass. Want to know more about which parks are free for Canada 150 visit the Ontario Parks, Parks blog at the link below. Which parks are free for Canada150?